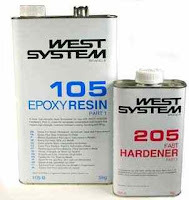 Commonly found in garages and various industrial spaces, epoxy is a resin capable of forming tight cross-linked polymer structures characterized by toughness, strong adhesion and low shrinkage. 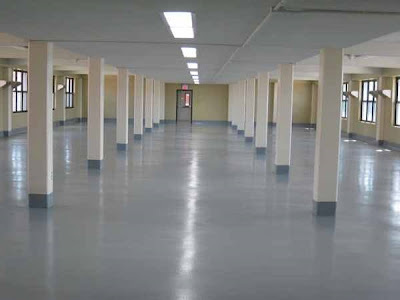 Typically, epoxy is applied to floors to strengthen them and add traction. These attributes are what make epoxy flooring such a mainstay in work areas - two elements, once combined, produce an exceptional result. 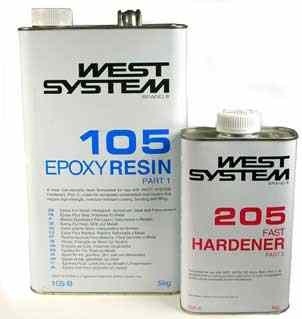 Consisting of resin and a hardener, epoxy does not become a durable coating until these two are mixed together. Some companies ship the two ingredients pre-mixed while others leave them separate and the buyer mixes them when they are ready to lay the floor. Most places are the latter. They leave the resin and hardener in sealed, separate containers - leaving the mixing to the buyer's discretion. When the materials are left separate, companies generally label them Part A and Part B. Part A is the resin and Part B is the hardener (on its own the resin will not harden). 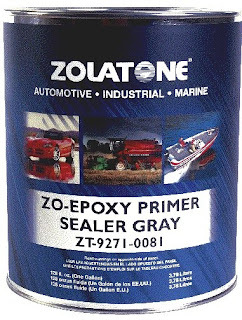 When both parts are mixed together, they start a chemical reaction (polymerization) which changes the liquid into a hard, durable, dense, chemically-resistant epoxy film. Immediate floor application is paramount after mixing the elements and, in most user manuals, they stress this importance. Though the curing (or drying) process is similar for any epoxy brand, some flooring has the added benefit of a controlled cure time (24 hours) that allows for a slow penetration of the surface allowing a tight bond between the epoxy coating and the concrete. This adhesion to the floor creates the superior durability that is associated with epoxy floors. The great adhering properties that are found in cured epoxy are directly related to whether or not the epoxy has been overly diluted with a water or solvent base. If it contains water, the epoxy is going to be thinner, more prone to shrinkage due to fluctuating temperatures and more likely penetrable by oils and fluids. To prevent these undesirable effects, we use 100% epoxy solids. This means that our product has the highest possible volume and total percentage of epoxy solids so that when the floor is laid, there's a guarantee of lasting durability. With ready-made kits for all things epoxy, the added bonus of using 100% epoxy solids, and a controlled curing time, there are one-stop shops for every spectrum of epoxy floor paint application. 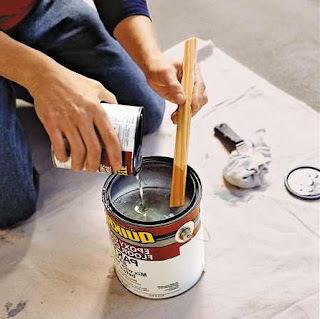 Not only do they have the highest quality materials, they can also alleviate the guesswork when doing at-home repairs. In addition to product details on their sites, they offer a step-by-step application process, answers to frequently asked questions and helpful tips for laying epoxy garage floors. First time i got to hear about epoxy..And the information you have given made me understand the concept clearly..